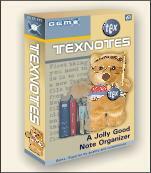 TexNotes is visually pleasant feature rich personal productivity tool. 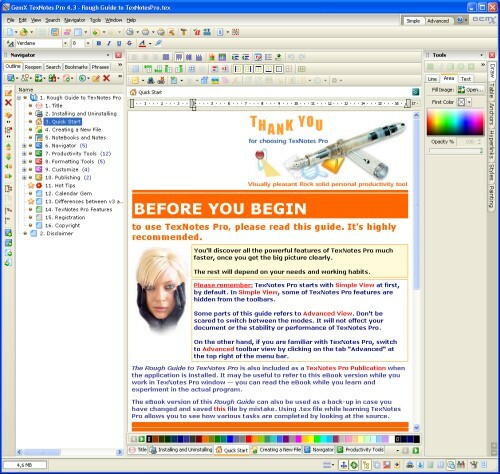 It is an extremely handy text editor, notes organizer and eBook publisher tool with all the ease-of-use you would expect. 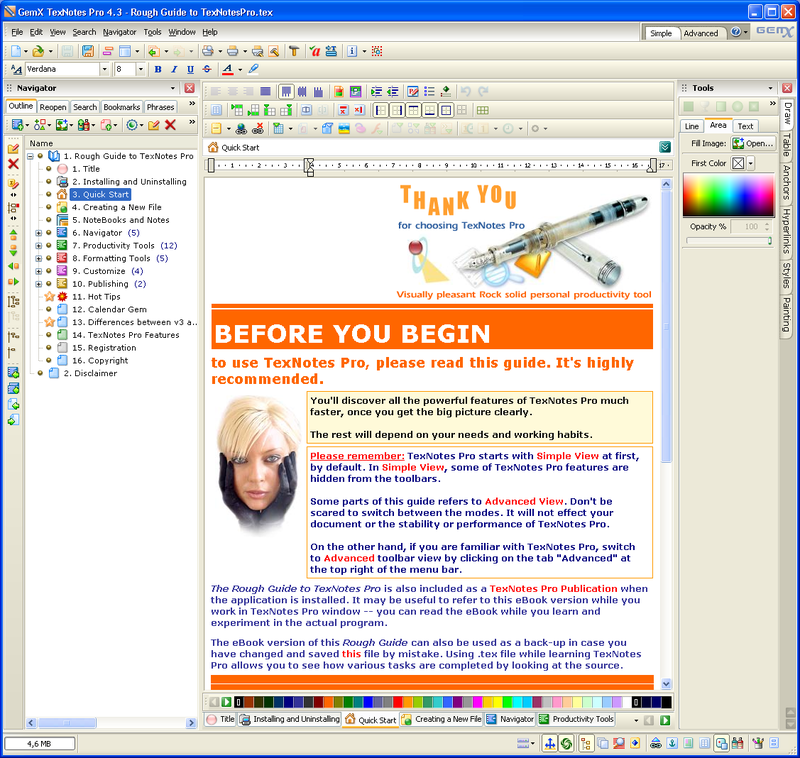 "The popular application, TexNotes, uses RichViewEdit for its main rich text edit area. Each note is a memory stream that is managed by a tree view and handles a large data set. A few enhancements were easily added to customize RichView, like real time URL recognition formating and Delphi-like Ctrl+Cursor scrolling, but most, if not all, the rich edit is handled by the RichView component itself. This made developement of TexNotes very quick and easy, allowing us, the developer, to concentrate on important areas of application development."